I got a couple of comments on the blog today that made my day! A few months back I wrote about the first interview I had done for my book about the career of Dr. J. Allen Hynek. 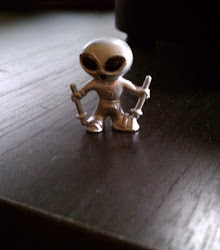 I interviewed a gentleman named Bill Powell, who had worked with Dr. Hynek at Northwestern University for many years, and had shared many UFO adventures with Hynek along the way. 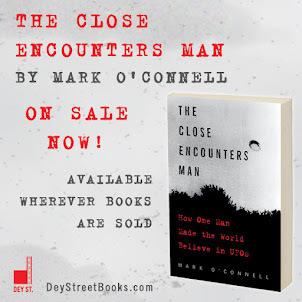 Well, I made it pretty obvious in my post that I had enjoyed the interview immensely, and that a lot of Bill's stories would make it into my book. I just happened to stumble on your article (long story), and enjoyed it immensely! You see, Bill Powers is my dad! And he does have a lot of cool stories about those good old days at Northwestern. I remember as a kid, running around the observatories (Dearborn, and the Lindheimer Astrophysical Center, since torn down). I spent many a night staring at the stars, Dad's arm over my shoulder pointing out this one and that... Thank you for such a wonderful article! I was having a pretty good day already, but this letter put it over the top. And now I need to interview her, too! 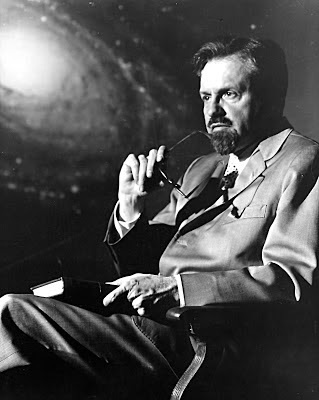 Dr. Hynek, pondering what a wonderful time I will have writing a book about him someday. I will write about comment #2 tomorrow. You didn't think I was going to waste an opportunity to get the maximum mileage out of this, did you? You always share something incredible that people can't control themselves to comment and praise you. Keep doing this good work and many best wishes to you.